Do you love adding coffee to your Shakeology? Beachbody listened and in 2016, Cafe Latte Shakeology will be available! If you are a coffee lover that enjoys a healthy lifestyle, you’ll love the all new Shakeology Cafe Latte! The first quarter of 2016 you’ll be able to enjoy this new Shakeology flavor that taste like coffee ice cream. I can’t wait! What is Cafe Latte Shakeology? 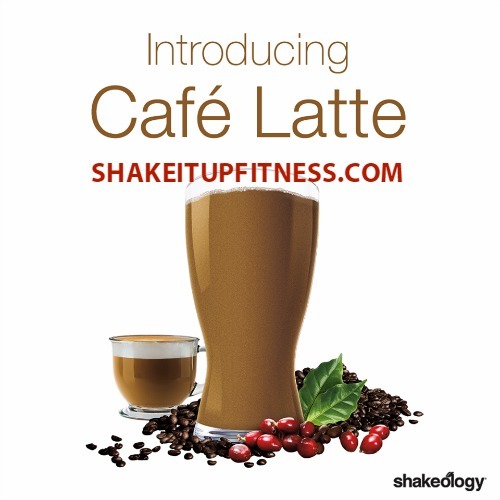 The newest addition to the successful Shakeology family, Cafe Latte has exclusive ingredients. It’s made with whole Coffee Fruit, the cherry-like fruit that surrounds the coffee bean. Coffee fruit will have your new Shakeology tasting great but it’s also a superfood. Whole coffee fruit, which is indigenous to India and Mexico, it’s the the fruit that coffee beans come from. Does it contain more caffeine than other Shakeology flavors? No. The caffeine levels are the same as those in all other Shakeology flavors. While you are waiting for this yummy new Shakeology flavor, be sure to try one of the existing flavors. CLICK HERE for Shakeology! You can also try the Shakeology Super Sampler – Each sample pack contains 6 single-serve packets of Shakeology (1 Chocolate, 1 Vanilla, 1 Strawberry, 1 Greenberry, 1 Chocolate Vegan, and 1 Tropical Strawberry Vegan), a copy of the Shakeology Welcome Guide, as well as 6 mouthwatering recipes. You’ll easily figure out which Shakeology flavors you love the most! If you can’t wait for the Cafe Latte Shakeology, here are some recipes to make a delicious Shakeology coffee shake. for the best rich and frosty shake experience, use a blender and add ice to these Shakeology recipes. The more ice, the thicker it gets. Feel free to use any kind of milk or milk substitute (almond, rice, or coconut milk)—the more milk, the creamier it gets. Enjoy! I can’t wait for Cafe Latte Shakeology! I may just have to replace my morning coffee with it altogether! CLICK HERE to try other flavors!